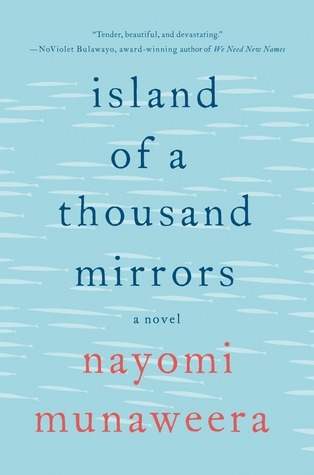 Island of a Thousand Mirrors tells a dual story of the Sri Lankan civil war. The first, that of a Sinhala girl, Yasodhara, and the other, of a Tamil girl named Saraswathi. Though both narratives are equally brutal in their tragedy, they could not be more different from one another. The Sinhala and Tamil people have a long history of resentment and hostility towards one another, and that hostility is reflected in both Yasodhara’s and Saraswathi’s stories. Yasodhara and her sister La have a happy childhood, until violence breaks out, and they leave the only home they have ever known for California. It is a hard adjustment for everyone, but the story of Yasodhara and her family embodies the American Dream through and through: foreign transplants escape tragedy for a better life, working hard and moving their way up the tremulous social and economic ladder. For Saraswathi, there was no escape. There was violence and sexual abuse, for which she is held accountable, and finally, she is sent to join the radical group, the Tigers at an incredibly young age. Still little more than a child, Saraswathi kills civilians and soldiers alike without a moments thought. So ingrained is the propaganda of the radicals that she no longer feels any connection to her once beloved family when she is allowed to go home one last time. 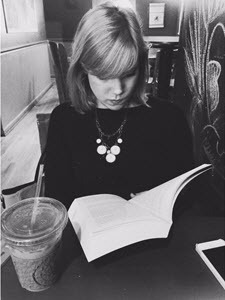 It felt wrong for me to give this book a star rating on Goodreads, because it felt so real that it was like I was rating someone’s life. When I thought about this further, I realized it wasn’t far from the truth. Someone, somewhere, during the Sri Lankan civil war, experienced the brutality and violence of the war first hand. While those stories are unique to those people, Nayomi Munaweera does an amazing job at painting an all too real picture of what life would have been like for a woman or a child during that time. It was abundantly clear throughout the novel that the racism against the opposite group was taught from a young age. He hasn’t done anything. But they are Tamil. Not like us. Different. Spanning three generations of Sinhala and Tamil people, Island of a Thousand Mirrors was at times painful to read, but this fact did not take away from the absolutely beautiful writing. The novel reminded me a little of one of my favorite books of all time, The God of Small Things, by Arundhati Roy, in its beauty and tragedy. It was graphic in a way that really showed readers the pain and tragedy people often faced at the hands of their own people, and their own governments. The change in Sri Lanka and the way it is described also changes drastically from beginning to end of the novel. Where in the beginning the lagoon was “like a secret signal, all its chaos, a hundred mirrors shattering about him” and by the end it “reflects sunlight like the shards of one thousand broken bottles.” Broken bottles, broken country, broken people. I would highly, highly recommend this book for lovers of historical fiction, or really to anyone looking for an incredibly written book that will have you thinking about it long after you close it. *I received an advance copy of this novel from St. Martin’s Press for review consideration, but my opinions are always my own. Thanks for introducing me to this title. It sound right up my alley, especially as I know next to nothing about Sri Lanka. I didn’t know anything about it either, and this really gives you a glimpse of it, especially the war but even the small details of food and atmosphere and stuff. I’ve been wondering about this book. It sounds brutal and yet good. I think i will have to wait until I’m in the right mood for this one. Its definitely a heavy read, but so worth experiencing! It’s good to hear you liked this one so much. I have been wondering about it.